The Other Wife is a tribute to one of the best loved heroines in English Literature – Jane Eyre. We asked ourselves what sort of a person would Jane have become if she had grown up in a different time and place. And we asked ourselves about Bertha, the mad woman in the attic. The Other Wife tells the story of two girls from very different backgrounds. Both are taken from their homes and set adrift in a world that doesn’t want them. Fate brings them together in the Australian outback, at a vast property known as Thornfield, owned by the enigmatic but compelling Edward Rochester. Soon to be available in both ebook and paperback, you can order The Other Wife via these links on Amazon and Kobo. The Heights is a modern retelling of the story of Catherine Earnshaw and Heathcliff, set in a northern mining town from the Winter of Discontent, through the Thatcher era, and the years leading up to the global financial crisis. In 2008, the unexplained death of a teenage boy brings DCI Nelson Lockwood back to the former mining town of Gimmerton, where he is caught up in a decades-old story of obsession and tragedy. Set against the backdrop of the miners’ strike and the decline of a once proud pit community, The Heights explores the destructive power of obsession: Heathcliff’s obsession with Cathy, Cathy’s obsession with status and wealth, and Lockwood’s obsession with a moment from the past – and how the ghosts of those obsessions echo through the generations. The Heights can be purchased via these links on Amazon and Kobo. 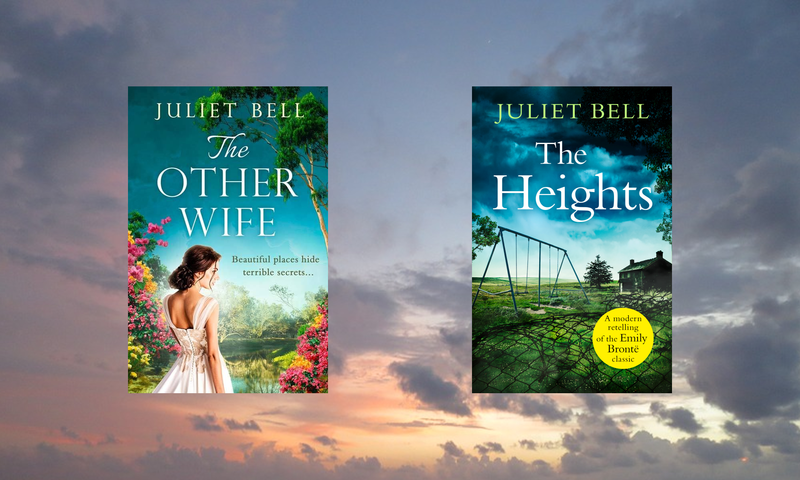 Juliet Bell is the collaborative pen name of authors Janet Gover and Alison May. Juliet was born at a writers’ conference, with a chance remark about heroes who are far from heroic and shares Alison and Janet’s preoccupation with misunderstood classic fiction, and stories that explore the darker side of relationships. Alison also writes commercial women’s fiction and romantic comedies and can be found at www.alison-may.co.uk. Janet writes contemporary romantic adventures mostly set in outback Australia and can be found at www.janetgover.com. Juliet Bell is represented by MBA Literary’s Julia Silk.